Food Justice Activista. Writer. Organizer. Prison Abolitionist. With roots in numerous cities including Philadelphia, Chicago, Atlanta and Jackson, MS, Dara Cooper is a national organizer with the National Black Food and Justice Alliance (NBFJA), an alliance of Black led organizations working towards national Black food sovereignty and land justice. She is also an anchor team member of the HEAL (Health Environment Agriculture and Labor) Food Alliance, a cross sector alliance of organizations working to deeply transform our unjust food system. She is currently working on a project elevating racial justice and food systems infrastructure work (such as food hubs and co-ops), after completing a southern tour interviewing Black farmers, co-ops and food hubs throughout the south in partnership with the Center for Social Inclusion. ​Dara serves on the leadership team for the Movement for Black Lives policy table, working to link the struggle against mass police and state violence with environmental, health and nutritional violence against Black people. 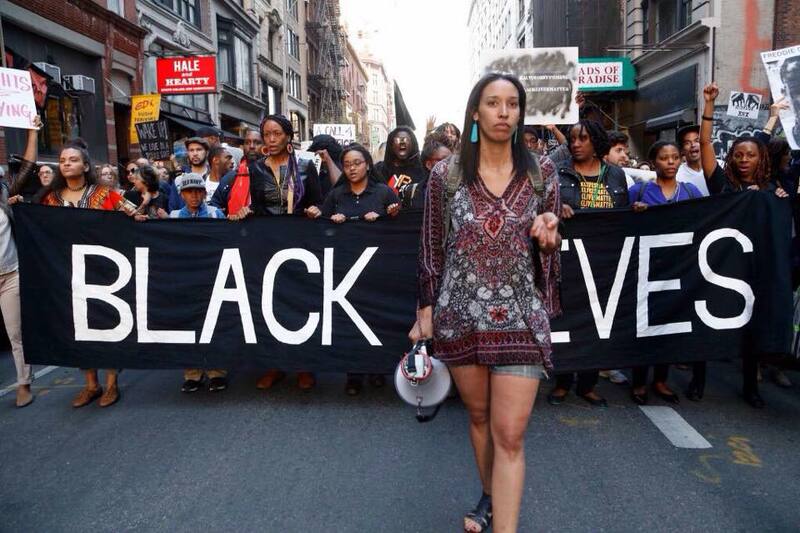 In August of 2016, the Movement for Black Lives’ policy table introduced a Vision for Black Lives policy document providing a comprehensive set of policy demands from over 50 contributing organizations. NBFJA is a coalition of Black-led organizations working towards cultivating and advancing Black leadership, building Black self-determination, Black institution building and organizing for food sovereignty, land and justice. The Alliance seeks to achieve this by engaging in broad based coalition organizing for black food and land, increasing visibility of Black led narratives and work, advancing Black led visions for just and sustainable communities, and building capacity for self-determination within our local, national, and international food systems and land rights work. Authored by award-winning and visionary activist Dara Cooper, 'Reframing Food Hubs' offers race-explicit solutions for achieving equity in our food system. April 5, 2018 (New York, NY) -- Leading racial justice nonprofit Race Forward: The Center for Racial Justice Innovation today released a new report Reframing Food Hubs: Food Hubs, Racial Equity, and Self-Determination in the South. 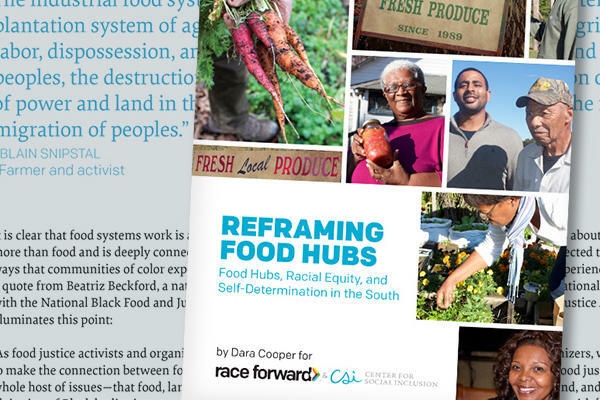 Authored by award-winning food justice activist Dara Cooper, Reframing Food Hubs shares stories, insights, lessons, and recommendations for transforming the field of food systems work, dismantling structural inequity, and creating racially equitable food outcomes for all.